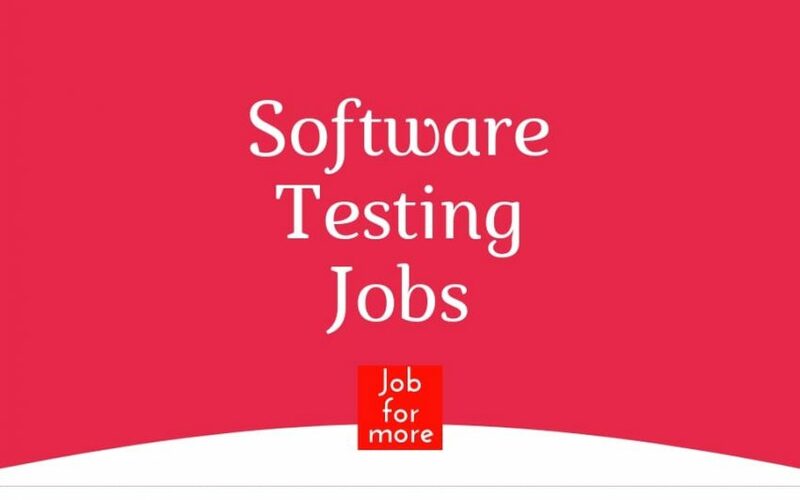 Are you looking for Manual Testing Jobs in Chennai, Mumbai, Bangalore, Trivandrum, Gurgaon, and Pune?? Amazon is hiring Quality Services Associate for Chennai location, this is a Full-time Role related to Software device testing. Please find the below Job Description for the same and Criteria to apply for this role. You may appear for the interview if you find yourself matching the below criteria. Freshers or candidates with 0-1 Year of experience into Testing. BE/ B Tech or BCA/ MCA/ BSC/ MSC in computer science are only eligible to appear for the interviews. 2017 / 2018 pass out awaiting results are not eligible to apply. Candidates who have attended the interview for Device/ Digital Associate role in last 6 months will not be eligible to apply. We have an urgent opportunity for Manual Testing in our organization. Flexible to travel Goregaon and Malad. Candidates in Central Line staying till Mulund. Candidates in Western Line till Vasai. Should have completed course in Manual Testing. Open to travel anywhere in Mumbai. QualityKiosk Technologies Pvt. Ltd A Wing – 419, Rupa Solitaire (Directions: next to Mastek, take a right from the main entrance) Millennium Business Park, Mahape, Navi Mumbai 400709. The Quality Assurance Executive (Digital) will be responsible for ensuring defect-free delivery of all digital jobs. He/she will be responsible for the quality of deliverables they are assigned to and will execute the testing procedures and quality standards based on SLA targets and guidelines. Minimum 3 years of experience in manual testing, with the digital/technical background, hands-on experience in Flash banner ads, HTML newsletters and various web specific testing. Ability to create test cases and run test processes. Ability to understand brand guidelines, functional specification and requirements. Execute cross-platform and cross compatibility testing based on requirements. Ability to estimate tasks correctly. Create and maintain an efficient defect/error tracking tool. Ability to create test data. Understanding of SDLC process is a plus. Address: Block A, Module 3A â€“ West Wing, 2nd Floor, MGR Salai, Perungudi, Chennai 600096. A QA Engineer at Onco.com will be responsible for making sure that the product experience of our customer is flawless. (S)He will be coordinating with Product and Engineering teams to ensure continuous focus on quality of the products at Onco.com. We are just getting started and the opportunity to make deeper contributions to all our products are huge. 1-4 years of relevant work experience, including development and/or test automation experience. Knowledge of testing tools such as Jasmine, Protractor, Selenium. Proficient in manual testing. Analyze Requirements, Specifications and User Stories. Write test plans and manual test cases. Strong SQL skills will be an added advantage. Experience working in any of the Loans or Lease or lending or mortgage loan products is a MUST. Should have good experience/ knowledge on SDLC and STLC. Automation Tester, QA Engineer, BDD, Cucumber, Gherkin, Selenium, SQL / NO SQL. Experience in implementing behavioural driven development & automated testing. 2-5 years experience in testing – functionality, regression, use case and system testing. Expertise in preparing test cases, test plan. Capable of identifying test environment and test verification points. Experience in test management tools like Testlink, Redmine, Jira, Mantis. Good knowledge in Node, Protractor, Cucumber, Typescript/AJS. Experience in Test Automation using Selenium. Good understanding of Smoke testing, Integration testing, system testing, Regression Testing, Black box testing. Must have strong knowledge or exp. on Loan management system , Loan origination system. Aptify is looking for a talented Quality Assurance Engineer to work within the development team, ensuring that we deliver well tested software that meets the business requirements of our organization and its customers. The two most important skills an ideal candidate would possess are problem solving ability and a strong attention to detail. This position will be located in our Pune Office. 3 – 5 years of equivalent experience in the Software Quality Assurance field. Excellent problem solving skills with a strong attention to detail. Must have experience in Test case Management tool, Bug Tracking tool. (Defect management system) Web application testing. Must have exposure to Installation and deployment testing. Technical skill set should include working knowledge of MS Word, MS Outlook, MS Excel, HTML, SQL, and browser technologies. Should be well versed with all the QA processes, STLC and SDLC.